The municipal committee has today given an advisory vote to the municipal department to enter into negotiations with a large tenant on the wholesale market area. It has to do with the conclusion of a leasehold agreement for the construction and operation of a new wholesale market hall on their leased premises on the wholesale market grounds. The city council decided on 26 July 2017 to go for an investor solution instead of city financing. The operation should finally take place through facilitator Markthallen München (MHM). After various rounds of votes, the city council decided on 25 July 2018 to examine an alternative location west of Schäftlarnstraße. Municipal advisor Kristina Frank commented on the decision as follows: "Today is a good day for Munich! 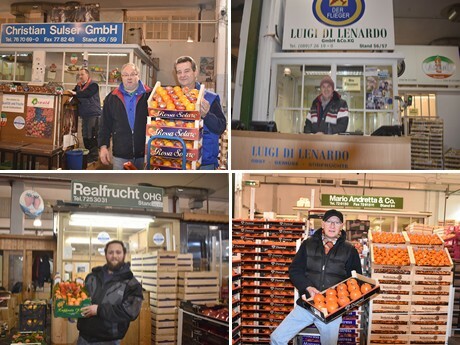 Finally, a breakthrough has been made: The wholesale market is to remain in Sendling. This will strengthen the variety of our food supply and the Munich economy. We can ensure a close, immediate supply of fresh food and at the same time make room for exciting urban development. It is the location for the development of new ideas! Munich needs this sustainable mix of commercial and residential uses. Our goal is to get the new construction of the wholesale market off the ground as quickly as possible and thereby give the marketers secure perspective. Until the completion of a new building, the wholesale operation will continue in the old halls."